A prominent freehold retail warehouse park with a leisure element, located between Festival Shopping Park and the town centre of Hanley. Access is from Etruria Road and the A53. All of the Stoke conurbation and the surrounding area is within easy drive time. The M6 motorway is about 6 miles to the west. The total floor area is 137,899 sq ft. At purchase in September 2012 the Park comprised four elements totalling 114,067 sq ft. 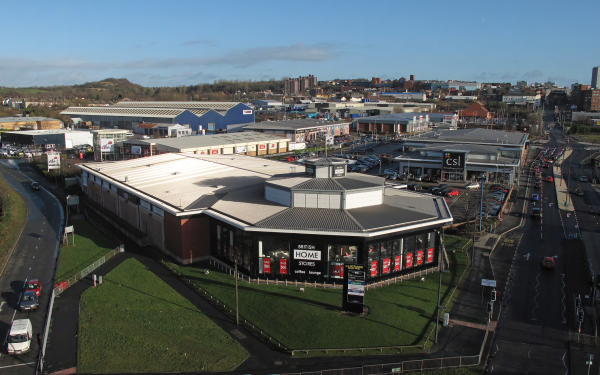 In March 2014, in line with the business plan, the adjacent DFS, totalling 23,832 sq ft, was purchased. 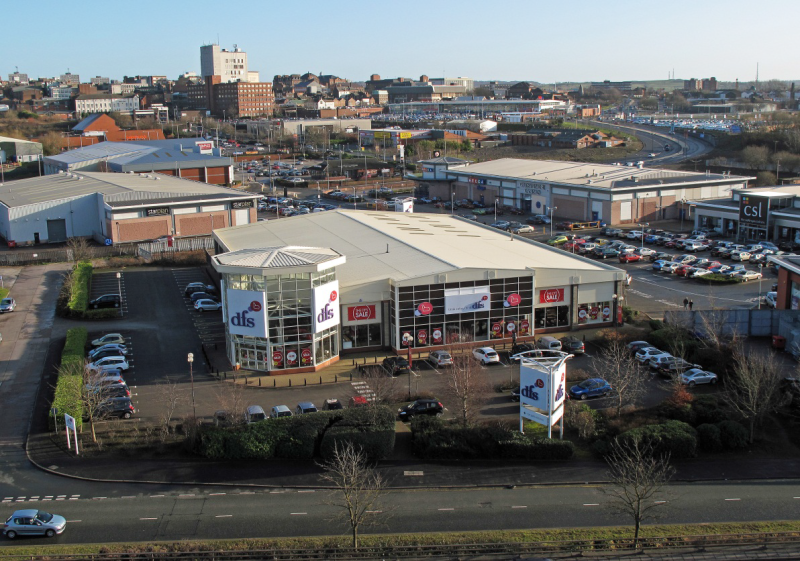 The Park now has nine units let to occupiers such as Next, BHS, DFS, Oak Furniture Land and Rank Group. The planning consents generally permit open A1 non-food and D2 leisure uses. The leases all have good unexpired terms and are let to national multiples. First Alliance Properties sourced and negotiated the acquisition, devised the business plan, and then introduced an investor to provide the equity. Senior debt was arranged with Deutsche Post Bank (now GE). First Alliance Properties is the designated asset manager with responsibility for implementing the business plan. Through the joint venture structure First Alliance Properties participates in returns delivered above an agreed threshold. Successfully re-let unit Unit G/H to Wren Kitchens following void created by demise of JJB. Successfully secured an improvement to the planning permission to facilitate the Wren deal and then managed the unit refurbishment programme. Acquired the adjoining DFS unit on attractive terms. This increased the critical mass of the Park, improved the site configuration and created additional development opportunities. Successfully re-let Unit F to Oak Furniture Land following void created after Mamas & Papas vacated. Potential to construct new unit adjacent to Unit E, subject to planning. Change of use of Rank group units (Mecca Bingo and Grosvenor Casino) to retail. Unit A (formally BHS) is available to let. Agents Harvey Spack Field and Stockford Anderson.